My friend, Shari, in New Jersey, made this beautiful "Wallflowers" quilt. 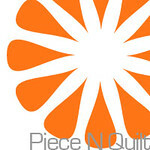 It's on my very long list of quilt patterns to make. The blocks finish at 20" so they really show off your prints. Shari used a variety of Denyse Schmidt prints. She knows I love Denyse Schmidt prints, too, so it is always delightful to quilt on these. Here are some close-ups of her blocks....Shari did such a great job combining the prints. I quilted a straight line pattern in each wallflower and did a swirl/pebble combination in the background. So lovely - thank you, Shari. That is a great pattern to highlight all the different prints. I love it! And your quilting, of course, sets it off perfectly! It's a really beautiful quilt - I want one! 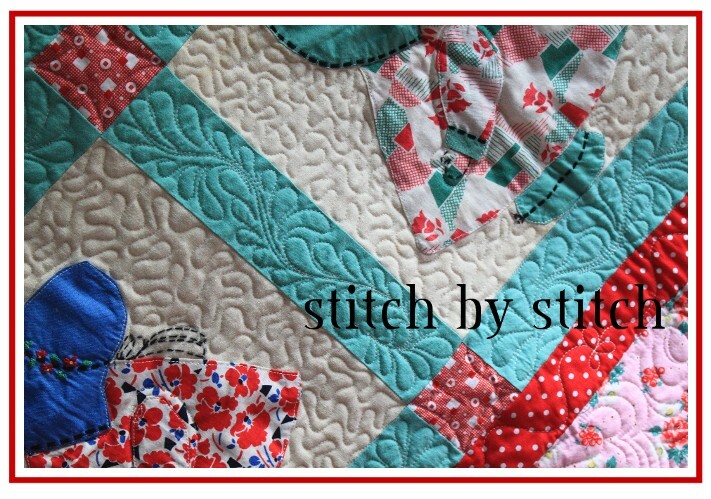 Beautiful Quilt and beautiful quilting!!! Thanks - she did a beautiful job piecing it and it was super fun to quilt. LOVE this pattern! Now I want a quilt like this of my own! GREAT fabrics. 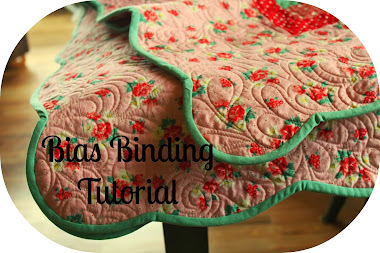 Love this pattern and the quilting is amazing! !